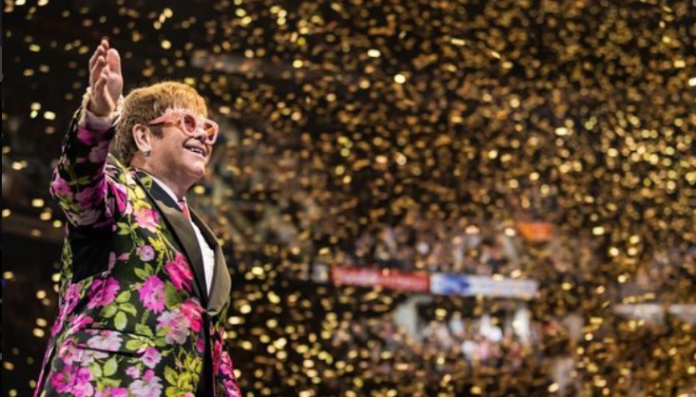 Singer-songwriter Elton John announced his retirement from touring. The iconic music legend has sold over 300 albums worldwide and is a five-time Grammy award winner. He is an Academy award winner for his music in the Disney movie The Lion King which was shared with Tim Rice as well as a Tony Award winner for the musical Aida. Below is a story dedicated to give thanks to the man who helped me start my journey as a Man With Autism! It’s going on 10 years that I remember seeing Elton John in concert As my first concert full of memories. It started when I was in the front seat of my sister’s car one day. She put a song on for me that had a nice piano melody and a singer singing beautifully. She asked me to take a guess on who was singing it. I guessed Elton John and I was right. After hearing that song, I would reply it over and over. I started to like his other songs and albums. And I would listen to him on the bus every morning on my way to Vo-tech in high school. I would listen to Crocodile Rock, Candle in the Wind, Daniel, I Guess That’s Why They Call It The Blues, and many others. My sister got me into his third album Tumbleweed Connection which is my favorite album by Elton John. I always wanted to go to a concert I had no idea who I would see first until that day. I was on my way to school and I got a text from my friend saying “Elton John is coming to Wilkes Barre” which is town 20 miles away from me and we agreed that we had to get tickets. We attended the concert on October 18th, 2008 where we sat in the upper level of the arena. I remember the whole night like it was yesterday. My friends Dad drove us to the arena. He dropped us off and we got in line to get in. Out of the middle of nowhere, 3 employees stopped us and asked us if we liked Elton John. I thought these guys were scammers. They offered us front row seats for nothing. I wouldn’t give them my tickets in case I thought they were scammers even though they had badges on. We took them, got to the gate, and we were in. He opened with Funeral for a Friend/Love Lies Being. When I heard his piano playing I was like to myself “Wow! He can play! Then I remember him playing Levon and Tiny Dancer, he looked at me and smiled for both songs. My friend noticed he did that. As the show went on, people were getting up and dancing to his songs. I remember people who got up close to the stage were being stopped by security guards. The security guards couldn’t stop everybody from doing this so they just let it go moving forward. Before it was time for him to play the encore of the night, he took out an item that was going to help me start my journey on the autism spectrum. It was a marker. He was starting to sign autographs. I got in there and tried to get one. He took my ticket and signed it and gave it back with a smile. It was a great experience for my first concert and helped me appreciate the city of Wilkes Barre, P.A. even more. As Elton is retiring with his Farewell Yellow Brick Road tour, I want to say, thank you Elton for helping me start my autism journey and giving me one of the greatest nights of my life along with giving me a great high school memory. I will forever cherish this day.